No Lotus Cobra this week; too much homework. So it seems that artists on Pixiv are visiting this site called Making you a two-dimensional woman, where you enter your name into a form, and an algorithm uses the name to generate a “two-dimensional female version of you.” When IOSYS album cover artist Kito entered his name, the result was this smoking hot succubus bunnygirl. A sporty tsundere loli whose speech and personality are like that of a disagreeable older person? How random is this algorithm? 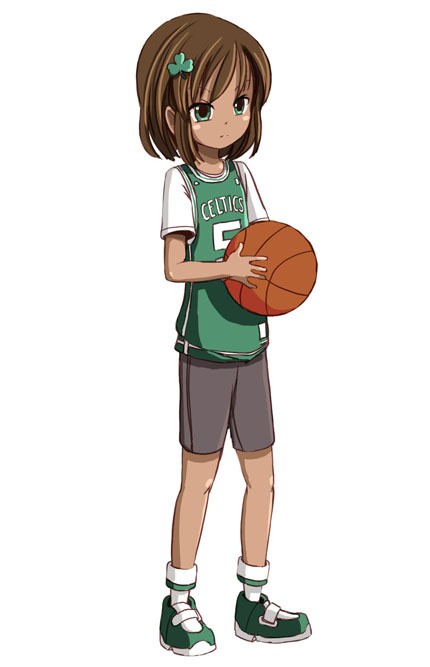 Following Strike Witches naming convention, her name is “Karin Garnett”, after the basketball player. This entry was posted on Saturday, May 29th, 2010 at 11:58 am	and is filed under Announcements. You can follow any responses to this entry through the RSS 2.0 feed. You can skip to the end and leave a response. Pinging is currently not allowed. Of note, i flew to Boston last weekend to watch them crushinate the Magic. KG is way intense in person. @desudesu: I’m not fluent in Japanese. 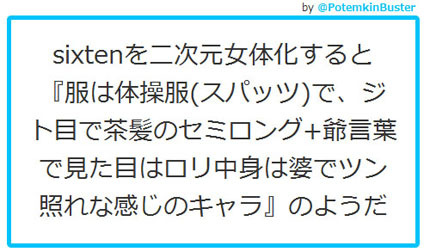 I know some basics, like kana and ~300 kanji, but that’s all. I could read about 1/3 of the message above, and the rest I just fed into a dictionary.